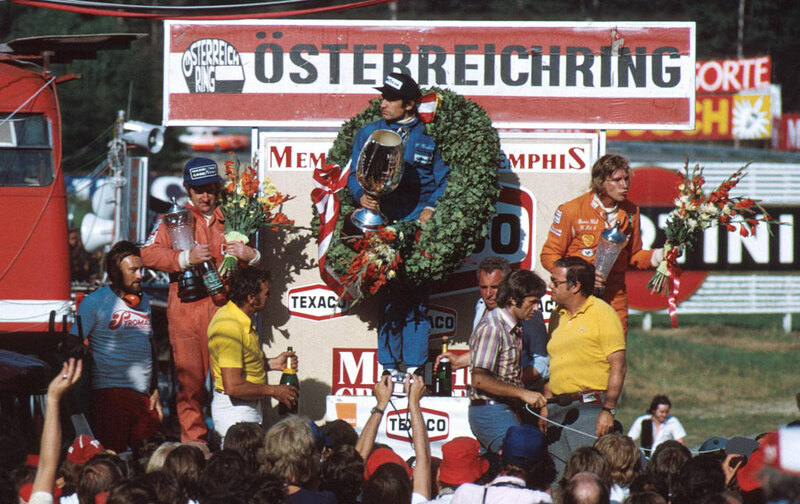 In 38C heat, Argentinean driver Carlos Reutemann kept his cool to hold off Denny Hulme and James Hunt to win the Austrian Grand Prix at the Osterreichring. Niki Lauda took pole on Saturday and was the favourite to win on Sunday, with his 12-cylinder Ferrari engine on song around the high-speed circuit. However, Reutemann took an early lead which was cemented when Lauda pulled into the pits on lap 15 with an electrical problem due to the heat. The second Ferrari of Clay Regazzoni then took up the fight, but his chances melted away along with his Good Year tyres when he was forced to make a pit stop. Regazzoni wasn't alone - the heat also got to Carlos Pace, Ronnie Peterson and Emerson Fittipaldi, who all retired with mechanical issues. The one man who did benefit from the heavy attrition was Hunt, who picked his way through the field in the Hesketh with relative ease. Despite his tyre troubles, Regazzoni came back to finish fifth and in doing so led the championship.